Frock Box is a new Canadian clothing subscription box. Each month you’ll receive a package with items of clothing and accessories that have been handpicked for you based on your profile. Frock Box offers 3 different boxes to choose from. Frock Box Jewel, Frock Box Gold, and the largest box, Frock Box Platinum. Frock Box Jewel: includes a handmade piece of Jewelry or Accessory by a Canadian Designer for $29.95/month. Frock Box Gold: includes 2-3 hand-picked clothing pieces and accessories for $49.95/month. Frock Box Platinum: includes 4-5 outfit items for $94.95/month. The sign up process for Frock Box is simple but fairly detailed. You enter your personal details including your sizes and style preferences and choose the types of items you’d like them to send you. They ask you the types of places you like to go and you can choose how trendy you’d like your box to be. In the final step you simply write down your style preferences and a little about yourself to help them decide the best items to put in your box. Frock Box offers sizing from XS – 3XL ! The first item I received in my Frock Box was this extremely soft scarf neck sweater. 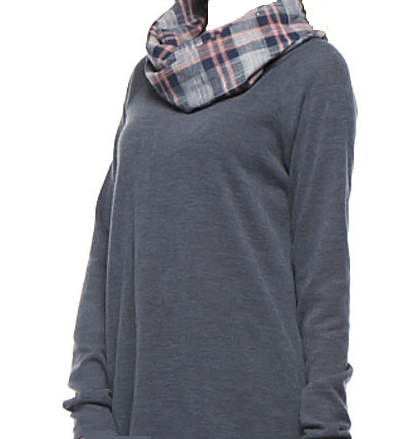 The built in scarf is plaid and the grey sweater is super super soft. I love the tunic length on the sweater as well, I think that style of top is flattering on almost every body type. 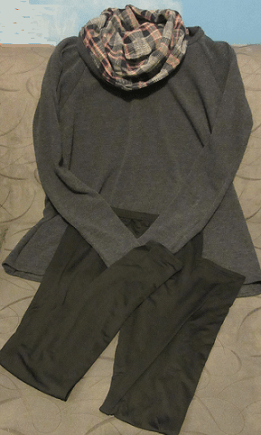 The leggings I received to accompany the sweater were basic black one size leggings. The leggings feel so good on, the material they are made of is so very soft. These are some of the best fitting leggings I own. I’m very happy with my first Frock Box. The clothing items are high quality and I like that they can go together to create a complete outfit. I just got my November Box and I think I like that one even more, my review on that will be up soon! Super cute!! I love this!! Super cute style-wise and totally comfortable!! Winner in my book!! I like that you can choose which box and they have nice items! 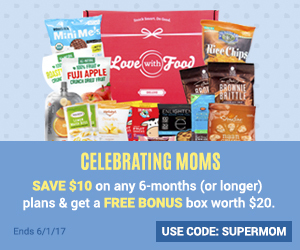 This is such an awesome subscription box! Love it! 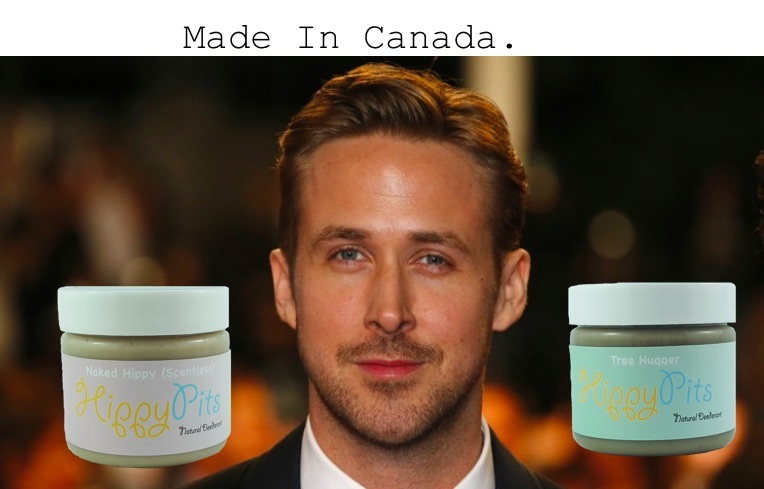 This is a new clothing brand to me. I could try with a subscription definitely. Thanks for sharing. What an interesting idea, I’d love to sign up to a box like that, I think it’d push me out of my clothing comfort zone! I’d be terrified of having a clothing subscription, I’m so fussy with my clothes! I love this idea! How fun it would be to receive one of these boxes every month! Its good that it is not a surprise box…. Thats so awesome. The clothes are really cute. This is what I would want a box. Thank you for sharing. Has anyone tried stitch fix or gwennie bee? I see them advertised all of the time and I believe they have some great deals going on too. However, I’m unsure as to whether they ship internationally, or just the US.? These are such super cute styles that I love. The clothes look very classy and comfy too. It would be fun it would be to receive one of these boxes every month. Thanks so much for your review of Frock Box! We love hearing from our subscribers and using feedback to better our products and services.